254mm Fan Guards, Wire 10"
Each fan kit contains a 120mm cooling fan, wire fan guard and 72 inch electrical plug. GardTec, Inc.s cabinet cooling fans run smoothly with high efficiency nickel chrome wire fan guards. 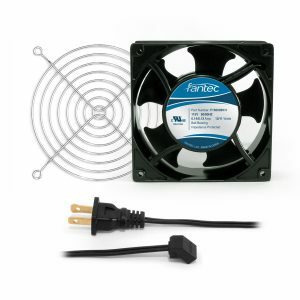 GardTec supplies the best cabinet cooling fan kits anywhere.